Since I have got my 120 pro pallette from buyincoins, I mostly think of doing eotds, as it has such beautiful colors. This time I picked up pink, green and yellow to pep up the mood. So here are the pics for you to enjoy !! But never mind, the price that this 120 pro pallette comes at and the pigmentation it has, everything is absolutely fine!! 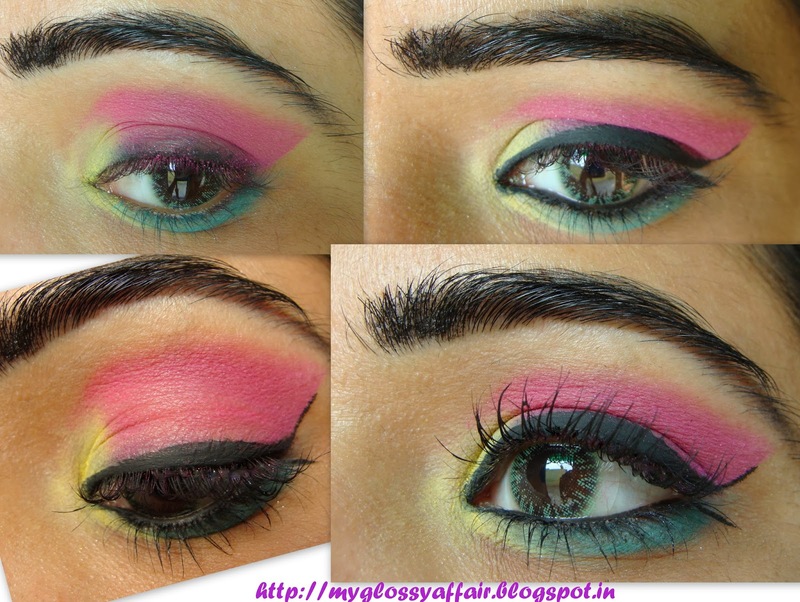 Do share with me your love and your views on this eotd.